Soldering is a technique of melting a soft metal to join two pieces of harder metal. Used in metalworking, jewelry making and electronics, a number of techniques can ensure proper adhesion between the metals. Tinning is a process of coating the two surfaces to be joined with a thin layer of solder to help the main mass of solder flow and melt into the joint. Most solder melts at around 200 degrees Fahrenheit. 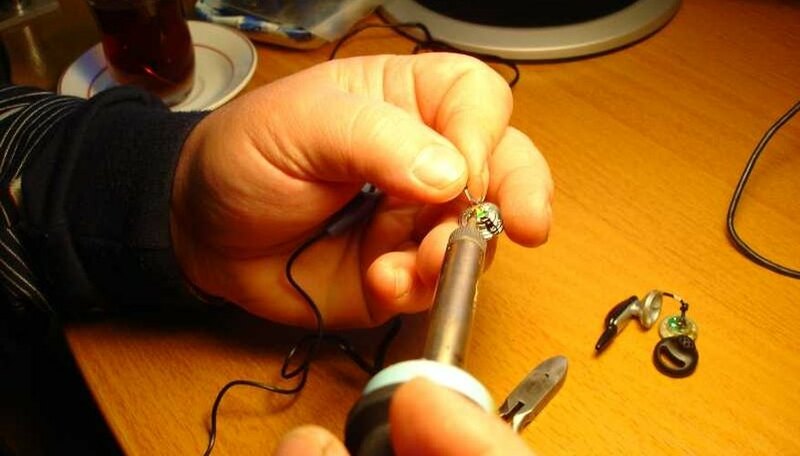 For electronics soldering, a soldering iron should be used. Soldering guns are better suited for electrical connections, plumbing or to solder other components that are not as heat sensitive as electronic components. Soldering iron tips for electronics should be about 5 millimeters wide. The best irons for electronics soldering have a base station where temperature and wattage are regulated and can be set. Using the correct type of solder is very important. For electronics soldering, always use a rosin core solder. Rosin acts as a flux, helping the solder to flow properly and make a solid joint. Do not use acid core solder with electronics. Different solders have different melting points. Use lower melting point solder with components that are more sensitive to heat. Solders are defined by their ratios of lead and tin. For example, 50-50 solder, which has a high melting point, is 50 percent tin and 50 percent lead. Solder designated 63-37, which has a lower melting point, is 63 percent tin and 37 percent lead. To tin a wire or component, apply the tip of the soldering iron to the wire or component lead. Wait for the wire to heat and apply solder to the wire. Do not apply solder to the tip of the iron. Be sure the wire or component lead has heated enough to melt the solder. To solder components or wires to a circuit board or to each other, place the components in the desired position so they form a loose joint. Heat the two components to be soldered at the same time. Apply solder to the joint, not to the tip of the soldering iron. When the solder melts into the joint, leave the iron on the joint for a moment to facilitate the flow of the melted metal.